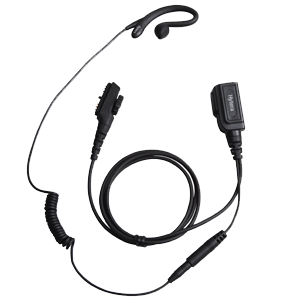 We offer a variety of rugged earpieces that are discreet with a streamlined design. We have a range of both two and three wire kits. 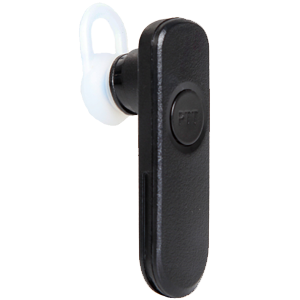 Workers can easily use the earphones alongside the push-to-talk feature of our hardware. 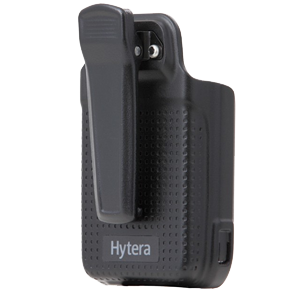 We have an extensive range of Bluetooth accessories allowing users to easily manage their communications without the need for wires or to pick up their radios. A worker can move up to 10 meters away from its radio and still be able to stay connected. The microphones allow for superior hearing in loud environments, eliminating the sound of wind and other noisy sounds. 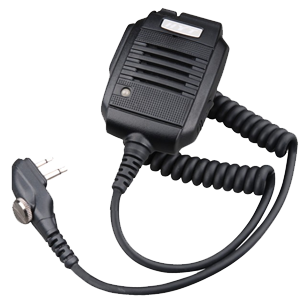 These are particularly useful in high hazard environments where hearing all communication is of paramount importance. 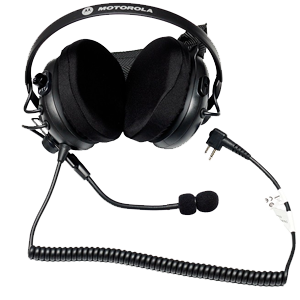 We have a wide range of headsets available that are suitable within ATEX environments. Our earphones are comfortable and durable for all users, protecting hearing whilst also helping to facilitate communication in often loud environments with noise cancelling boom microphones. We also offer temple transducer headsets rest which rest on the temple with the audio converting into sound vibration to transmit into a user's ear. Earplugs and helmets can also be worn at the same time with our headsets. Our carry cases are available in nylon and leather and are designed to keep workers radios safe, compactly holding the radio whilst allowing audio to clearly be emitted. We also have a range of straps, holsters and clips available. Our Motorola batteries offer optimum performance and can withstand temperatures as low as -30 degrees C. The batteries are integrated with IMPRES technology and have been proven to charge an additional 150 times in comparison to other batteries. These are available in single and multi-unit, as well as travel chargers. 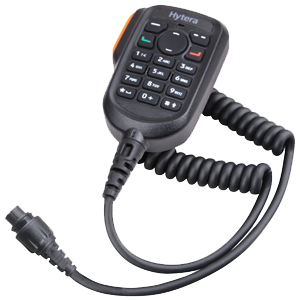 With a keypad microphone, users can easily dial numbers and send text messages, even with gloves on. 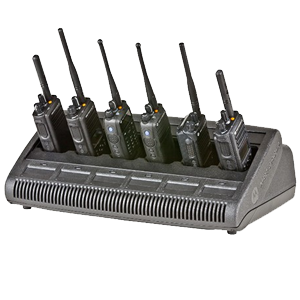 When paired with a long range wireless remote speaker microphone and Bluetooth gateway, communications can be maintained with 100 meters of the mobile radio itself. 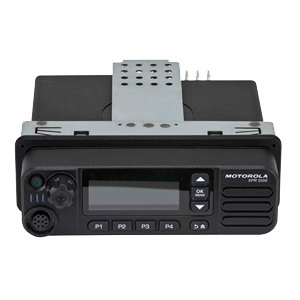 Radios can be mounted on both desks and vehicles with a mounting kit, meaning radios can be securely kept in discrete places, such as in between seats in a vehicle.